You've undoubtedly heard people speculate about whether or not fluoride is actually necessary in our drinking water. Some even go so far as to buy a filtration system heavy-duty enough to filter out the fluoride! So what's the deal? Do we really need fluoride in our water? This article from the ADA breaks it down! Safe and effective. For 70 years, the best available scientific evidence consistently indicates that community water fluoridation is safe and effective. 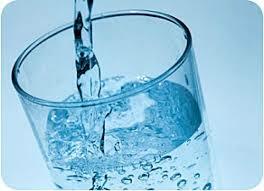 It has been endorsed by numerous U.S. Surgeons General, and more than 100 health organizationsrecognize the health benefits of water fluoridation for preventing dental decay, including the Centers for Disease Control and Prevention, the American Medical Association, the World Health Organization, the American Dental Association, and the American Academy of Pediatrics. We've come a long way in our dental knowledge through the years, and it's fun to look back and see what our ancestors thought about our pearly whites. We also know so much more about how teeth develop -- it may happen a lot earlier than you think! Thank you Colgate for this entertaining article! People today tend to know a lot about their oral health, but the humans of ages past relied entirely on conjecture for answers about their teeth. Here are some fun facts about teeth that our ancestors certainly did not know. In medieval times, most people thought dental cavities were made by tiny tooth worms. These little worms were thought to bore holes in teeth and then hide, out of sight, beneath the surface. The wiggling they did inside the tooth was believed to cause the pain of toothaches. Today, of course, science has told us the truth about cavities, namely that they are really tooth decay caused by enamel-eroding bacteria in the plaque that builds up around teeth. When we eat sugary or starchy foods, the bacteria feed on the remnants left on our teeth, while simultaneously creating an acid that eats away at enamel. Thankfully, we also know a lot more about preventing and treating tooth decay today than our medieval ancestors did; with preventative dental care, good oral hygiene, and a tooth-friendly diet, we can keep our teeth healthy for a lifetime. You can learn more about maintaining good oral health in the Colgate Oral Care resources. The great philosopher Aristotle believed that men had more teeth than women. Even though he was married, he must never have counted, because men and women both develop 20 primary or baby teeth, and when their permanent teeth come in, both sexes receive 8 incisors, 4 canines, 8 premolars, and 10 secondary molars. Things get complicated, however, when it comes to the third molars, often called wisdom teeth. While most people grow wisdom teeth between the ages of 17 and 21 years old, in about 35 percent of the population, wisdom teeth never develop. Some scientists believe that in the future that percentage will continue to grow until humans no longer grow wisdom teeth at all. You may not realize that although you don't have any teeth visible when you're born, the tooth buds of your 20 primary teeth, as well as the 32 permanent teeth you will one day develop, are already present in your jaw. The only exception is your wisdom teeth, which don't begin to develop at all until adolescence. All these fun facts about teeth serve as reminders that you can never know too much about taking care of your teeth and gums. Daily preventative care and regular visits to the dentist will ensure that you have a healthy smile for years to come. Check-ups are for for more than just a cleaning! Your mouth is a part of your whole body, and it can tell you a lot about your health in general! In addition to keeping your teeth clean, check-ups with Dr. Smith always include a free oral cancer screening. You can be confident that at Got Smile Dental you are always getting top-notch, thorough oral care! This article from PatientConnect365 details the importance of an oral cancer screen at each checkup - we agree! Skin cancer is the most common cancer in the United States. It’s also among the most preventable and curable when caught early. And, believe it or not, your dentist is a critical partner when it comes to detecting this form of cancer. Melanoma is a type of skin cancer, and one of the most serious. That said, even though melanoma is understood in layman’s terms to be a “skin” cancer, we can’t always prevent it by applying sunscreen. Biologically speaking, melanoma can manifest anywhere melanocytes exist, whether that’s in our skin, mouth, heart, or other tissues. It’s precisely for this reason that maintaining regular visits to your dentist can literally save your life. How does the dentist help and what are the symptoms? As with any cancer, early detection is key. And a regular visit to your dentist who can see more areas of your mouth at close range is your best course of action. There are signs and symptoms, however, that should elicit concern if you experience them. If you have a frequent sore throat, difficulty chewing and swallowing, and red or whitish patches within your mouth, you should see you doctor. Likewise, changes in the color, shape or size of skin pigmentation should prompt a visit to the doctor. How often do I have to have my mouth checked for this? Your dentist should review your mouth and neck to look for any abnormalities or changes in tissue at every appointment. This exam often takes place without you even being aware it’s happening, but if you’re ever curious, just ask your dentist to walk you through it during your next appointment. Due to their ability to detect cancerous lesions early, an oral cancer screening can literally save your life. Your dentist may also offer additional screening opportunities using special medical screening devices. These also help with early detection by illuminating mouth tissue with a special light. Ask if your doctor has such a device in their office, or can recommend you to a physician who does. Your teeth aren’t the only things in your mouth worth protecting. So be sure to visit your dentist regularly for an oral health screening. Your dentist plays a critical role in the early detection and treatment of oral cancer concerns, so get that checkup!